When your cupcakes just need a bit more geekiness to them, I present: 1-upcakes. 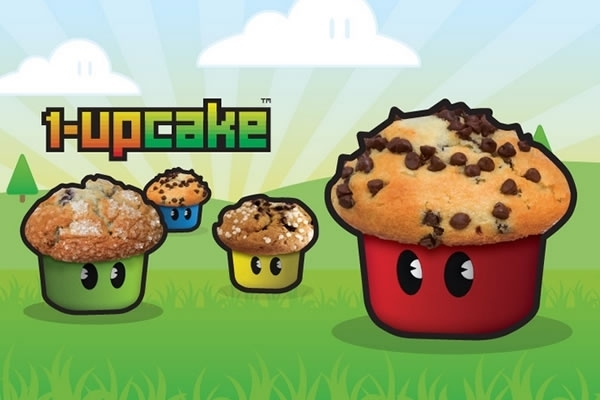 The pack of four reusable cupcake molds will give you cupcakes that look just like Mario’s 1-up mushroom friends. How can you resist? 1-upcake Cupcake Mold, $9.95 for a pack of four at Neatoshop.com. This is awesome. Lately I’ve been collecting every geeky recipe I can get my hands on, mostly sweets and deserts. That way I can make the awesomest birthday table for someone with fondent covered Zelda Shield Cake, Skittles & Vodka potion bottles, Moogle cupcakes etc… And now, Mario 1 Up’s. That’s fantastic! Send pics my way–I’d love to see it!